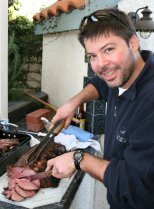 After nearly a decade (2002 to 2012) selling ovens and barbecues manufactured in Italy and Brazil, we have decided to completely re-tool our business and bring the manufacture of all our core products back to the USA! This came at a great cost to my family and to Fogazzo as a company. However, we could not see a better way in which we could do our part to bring some sanity back to the US in terms how to work our way out of the recession our country has faced since 2009. To continually manufacture the bulk of every product overseas, regardless of which foreign country our products were made in, seemed at the very least counter productive. 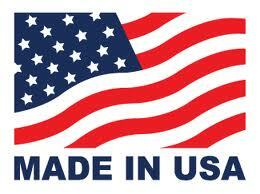 As of May 2012, every oven, and barbecue sold by Fogazzo is 100% Made in USA! Please beware of companies that only use some US made components and then claim or imply their products are US made. It has become the new white lie, to claim Made in USA even if only partly so. We are 100% Made in USA with 100% Made in USA components. From our refractory castables, to our refractory brick, oven doors, flue pipe, mortar, etc, everything is 100% made in USA! No Bull! The dome-shaped wood burning oven or variations thereof have been in use for thousands of years. Scores of ancient civilizations dating back to Mesopotamia and ancient Egypt used some variation of this time-proven design to bake breads, meats, seafood and more. These small wonders are considered extremely efficient miniature bakeries. Additionally, in cold climates the presence of these cooking devices provided the occupants of small dwellings with an efficient source of radiant heat. Most ancient civilizations used the clay and straw method of construction. This was time consuming and did not always result in a usable oven. As with pottery, many of their castings cracked during the initial firing. 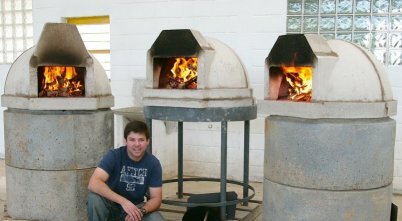 The Romans perfected the art and engineering of wood fired ovens and at the height of the Roman Empire 100 b.c. to 300 ad. their use spread throughout it. Archaeologists are still unearthing ovens in Pompeii, many with bread still in them. The Romans were very good at making bricks from fire clay, which was used extensively in oven construction. Additionally they understood the relationship between proportion, and mass in order to maximize efficiency and heat storage. In 1978 we began modeling, form work, and test casting, a full line of products all based on ancient Roman designs and proportions, and by 1984 we had a fully developed, line up of high quality refractory products. By employing modern methods of casting, and through the use of better materials, we are able to create ovens which have all the desired attributes of the ancient wood fired oven designs, without many of the pitfalls which burdened its predecessors. Our current line up of ovens, barbecues and fireplaces, offer the latest in design, technology and safety for you and your family to enjoy for many years to come. 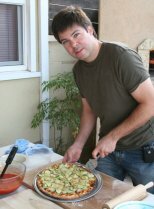 Regarded by his peers as an expert and innovator, on a wide range of topics, like wood fired ovens, pizza, barbecue, as well as outdoor kitchen design and construction, Fogazzo President, Sergio de Paula has a degree in Business Administration, and is a licensed General Building Contractor in California. He is a regular contributing writer and photographer for books, newspapers, magazines, and TV programs, where he has given interviews for several home improvement shows.